The oil/gas industry has several critical requirements to the process in order to prevent moisture, overheating, corrosion, and inefficient fuel usage. Thermometrics offers a number of temperature sensors for the many different processes in the extraction, production, refining and distribution of oil, gas and other petrochemicals. 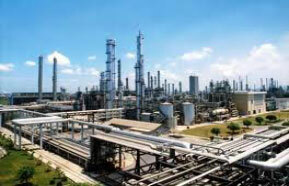 Examples of these are our Teflon coated assemblies that resist corrosion and chemical attack. These sensor assemblies are built for direct immersion in the process, while other types are constructed with a thermowell for protection. 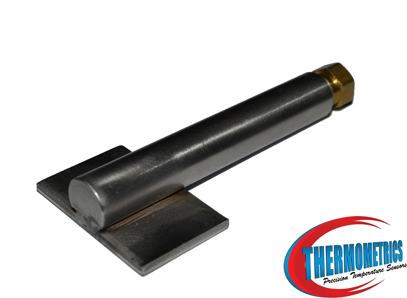 Thermometrics also carries a broad line of explosion-proof sensor assemblies. Most of these sensor assemblies are available with transmitter options. Thermometrics Corporation manufactures temperature sensors, radiant tubeskin thermocouples, petrochemical sensors and gasifer thermocouples for refining facilities around the world. 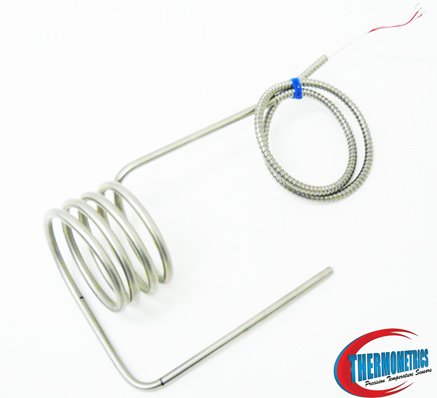 Tube skin refinery thermocouples manufactured with superior metallurgy are used to measure the temperature of process such as Coker, Purge Gas Recovery, Primary Reformer, and Synthesis Converter systems. The size of the sensors are designed for each particular application by an engineer during construction or retrofit of a factory or process. 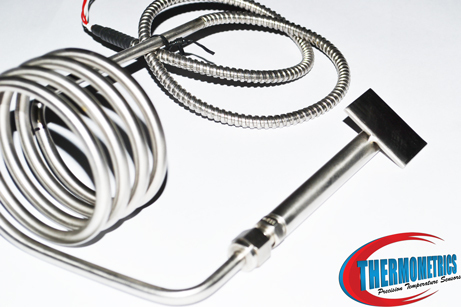 The type of thermocouple sensor used is generally a Type K due to it's optimum temperature range and cost factors. 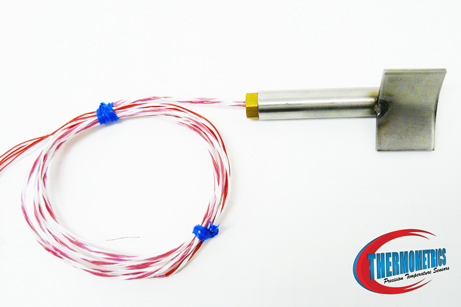 Tube skin thermocouples unique design with expansion loops allows the thermocouple temperature sensor tip to move as the process vessel expands and contracts. 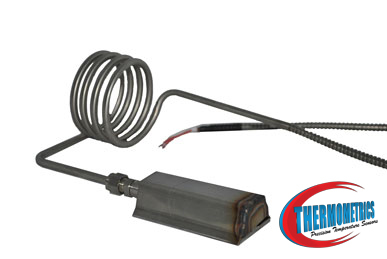 Tubeskin thermocouple sensors are used to control advance warming of flue gases to provide a better heat transfer rate om boilers. This can result in substaintial saving on fuel.